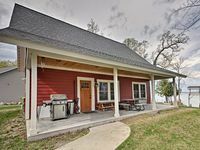 Property 7: Federal Dam Cabin on Leech Lake-Near Boat Launch! Property 10: Cozy Buck Lake Cabin escape on Cass Lake Chain just minutes from Bemidji! !